October 11 2011 - A new fiber-optic inertial navigation system/global positioning system (INS/GPS) developed by Northrop Grumman Corporation's navigation systems subsidiary, Northrop Grumman LITEF GmbH, has been selected by Cessna Aircraft Company for the new Citation Ten business jet. An improved version of the company's successful LCR-100 product, the LCR-100N provides navigation information regarding the aircraft's position, heading and attitude, even when GPS data is not available. The LCR-100N also offers the precise navigation needed for Required Navigation Performance airspace. By enabling aircraft to follow highly efficient, exact routes, the LCR-100N is supporting modernization programs for air traffic management systems, including Single European Sky and its American counterpart, NextGen. "We are pleased that Cessna will be among the first companies to benefit from the launch of our LCR-100N," said Eckehardt Keip, managing director for Northrop Grumman LITEF GmbH. "This hybrid navigation system's versatility and increased performance demonstrate our commitment to the commercial marketplace." Northrop Grumman's state-of-the-art LCR-100N inertial Hybrid Navigator system has been selected by Cessna Aircraft Company for the new Citation Ten business jet. 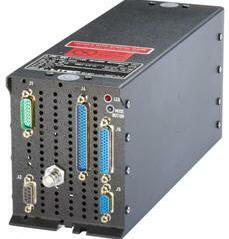 The LCR-100N consists of a hybrid navigator unit which accepts satellite-based GPS position and velocity data, a calibration programmable read-only memory device, and a mounting tray. Under a multiyear contract, Northrop Grumman will begin test program deliveries to Cessna Aircraft Company in the second half of this year. Production deliveries will commence in 2012. The LCR-100N is part of Northrop Grumman's new Hybrid Navigators product line, which includes both the LCR-100N and the LCR-110. Northrop Grumman LITEF GmbH is a leading supplier of inertial sensors, inertial reference, and inertial navigation systems and computers with products deployed in more than 30 countries in aircraft, marine vessels and ground mobile applications. The company has more than 15,000 fiber-optic gyro systems serving in aircraft worldwide. Within each of the six distinct families, aircraft design improvements, market pressures and re-branding efforts have resulted in a number of variants, so that the Citation lineage has become quite complex. Military variants include the T-47 and UC-35 series aircraft.